Please note this item has been discontinued. We recommend CompleteBrain instead. 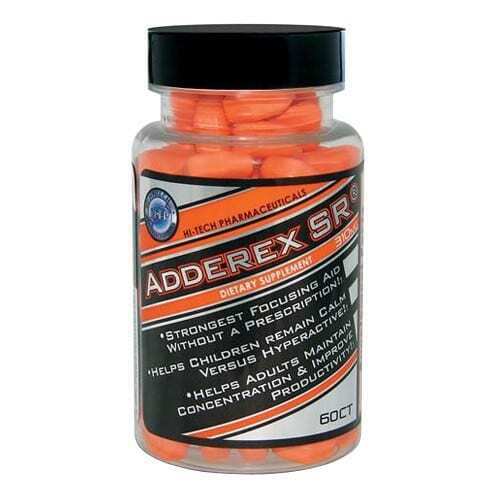 Marketed as a powerful, all-round brain booster*, Adderex-SR by Hi-Tech is a high quality neuroenhancer that contains a unique mix of potent nutraceutical ingredients designed to boost your cognitive health*, to improve your memory* and to support the optimal functioning of your brain on all levels*. The supplement is very rich in vitamins and minerals and it can be used both by children and adults alike, as it serves as a reliable attention and focus booster that will benefit everybody*. Hi-Tech usually specializes in sports, nutrition and weight loss supplements supplements*, and Adderex-SR certainly manages to stand out from the other supplements from many points of view – besides the fact that it contains a wealth of nutraceutical components and other smart nutrients that can improve your memory* and your cognitive function*, the supplement is also designed elevates your mood*, it adds to your organizational and learning skills and it can also increase overall productivity, in your daily life*. What Are The Main Ingredients Present In Adderex-SR By Hi-Tech And How Do They Work? This supplement contains the latest developments in the field of “Smart Nutrients” (also referred to as “nutraceutical agents”), in the cognitive health niche*. 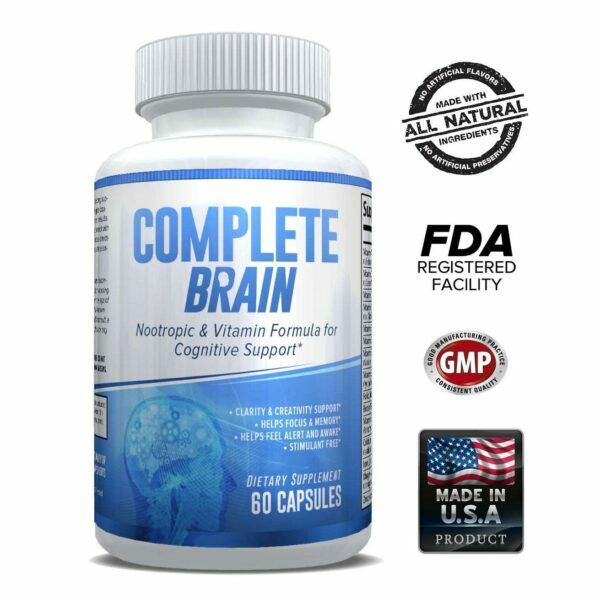 These ingredients are natural and designed to provide long-lasting results for those who seek an improvement in their general cognitive function*. 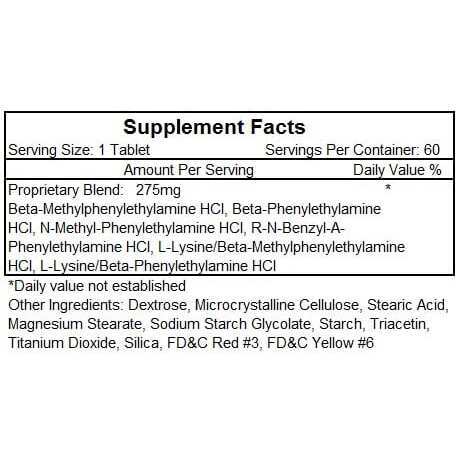 That being said, the supplement contains the following active ingredients: L-Lysine, Beta-Phenylethylamine HCl, Beta-Methylphenylethylamine HCl, R-N-Benzyl-A-Phenylethylamine HCl and N-Methyl-Phenylethylamine HCl*. The Beta-Methylphenylethylamine HCl is one of the most important ones in this nutraceutical mix* – this is basically an active isomer of MPEA that is known to naturally stimulate the production of norepinephrine*. This is a neurotransmitter that your body produces as a direct response to stressful situations* (similar to cortisol), but it has several important benefits for those who are predisposed to depression*. Norepinephrine is one of the most important mood enhancers*, after serotonin and dopamine, and Adderex-SR by Hi-Tech aims to increase those levels, thus elevating your mood in a natural and efficient manner*. Besides this, norephinephrine can also boost your energy levels*. 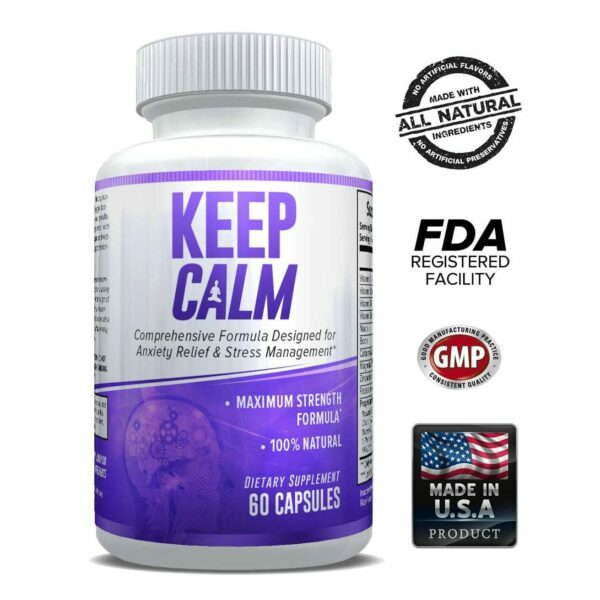 Another essential nutraceutical agent present in this supplement is Phenylethylamine HCL, simply known as PEA*, which is known for being a reliable concentration aid and great for cognitive enhancement at the same time*. Also, PEA works in conjunction with the Beta-Methylphenylethylamine HCl, as they both aim to enhance your mood*. This neuromodulator is also known to increase attention and alertness*, and this is what makes Adderex-SR by Hi-Tech a great choice for children who want to stay focused during class, as well as for adults who want to become more productive at work*. PAE is also naturally found in chocolate, which is known to be of great help for those who are constantly subjected to a lot of stress and pressure*.